Please play this in the background while reading this post. Remember Shovel Knight? You know, the one that ended up taking the gaming world by storm, making a tiny underdog into an Indie hero that ended up getting its own Amiibo? Of course you don’t, that’s why I keep this blog. Actually, I had forgotten all about Shovel Knight myself. After all, the game was two years old, and I had sucked every droplet of sweet delicious gameplay from its interactive cadaver – what else was I to do but move on with my life? Time went on, and I went to enjoy other platformers. I rekindled the flame of my childhood crush, Super Mario Bros. 3. I enjoyed both young and old hedgehogs in Sonic Generations. I explored Spelunky’s caves multiple times, finding them refreshing and new every time. It was a time of wild experiments, of insatiable hunger, of being lost. Then, one day, I booted my computer and was greeted by an unexpected message. Shovel Knight had updated. Shovel Knight? Surely that blue armored hero rang a bell? I hovered over the PLAY button, unsure what to do. Sure, I could click it and return to my old love. But what if things weren’t like before? What if he had changed? And worse: What if I had? Reluctantly, I put it off, minimized the Steam window and went about my day. Shovel Knight was in the past. I tried to distract myself as best I could. I made it seven minutes before I caved. Artist’s rendering of what followed.So apparently, I did change. And so did Shovel Knight, who bravely stepped aside for a new hero to take the spotlight: The maniacal potion-chucking alchemist, Plague Knight, a glass cannon antihero with great movability, who makes am already hard game into an abolute deathfest. Immediately, I fell in love once again – but differently so this time. 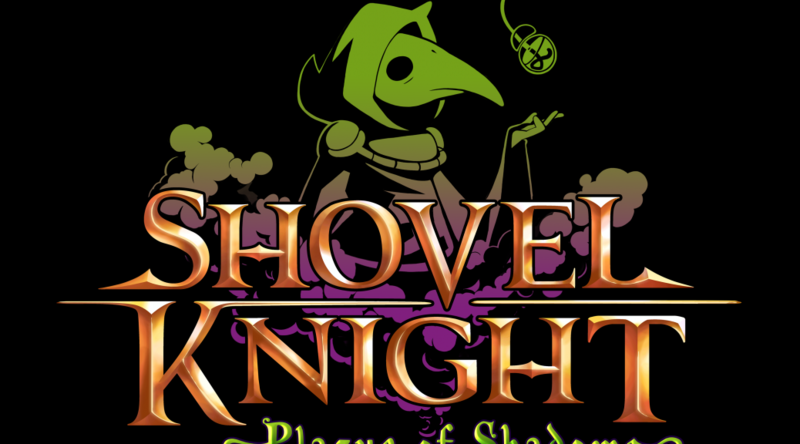 Shovel Knight was silent and stoic and told his story in pictures – Plague Knight is an awkward geek who can’t stop yapping. He is a text-heavy hero with a text-heavy story, but one that once again grabs you in the chest with its absurd honesty. Plague Knight is the perfect fairy tale for geeks: An awkward romance starring a regular guy who wants to take over the world. Plague Knight is an amazing unicorn in the games world. It’s the white whale of DLC: Free, long, absolutely different and yet somehow the same. It should not exist, and yet here it is: A whole new way to fall in love with a wonderful classic all over again. Get it on every platform that matters for next to no money. You won’t regret it.